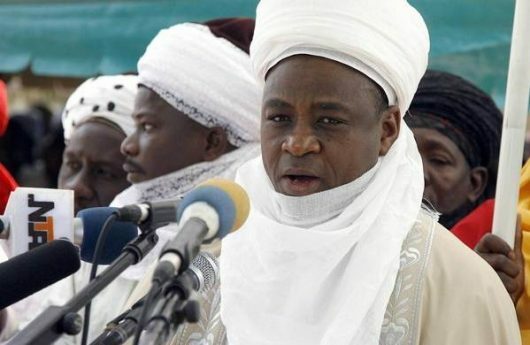 The Sultan of Sokoto, Alhaji Sa’ad Abubakar III, has directed the Muslim Ummah to look for the new moon of Dhul Hijjah 1439AH from Sunday, Aug. 12. The sultan gave this directive in a statement signed by Prof. Sambo Junaidu, the Chairman, Advisory Committee on Religious Affairs, Sultanate Council, Sokoto, on Sunday. “This is to inform the Muslim Ummah that Sunday, Aug. 12, 2018, which is equivalent to the 29th day of Dhul Qadah 1439AH, shall be the day to look for the new moon of Dhul Hijjah 1439AH,” he said. He prayed for all Muslims for Allah to help them in the discharge of their religious duty.